Image Direct will eliminate the inconvenience of traveling to a store for anyone who has to go out of the way to pick up comics. 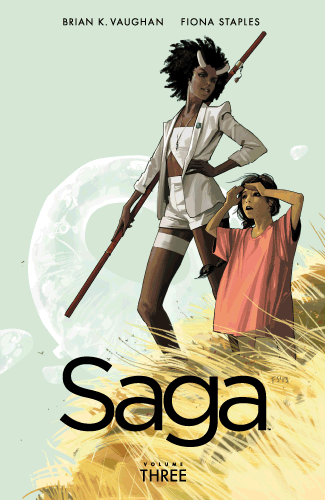 Image Comics has launched a mail-order subscription service called Image Direct where subscribers can order comics like Saga and Rat Queens and have them shipped to their door. Subscribers can receive discounts depending on how many issue subscriptions they buy. Plenty of comic readers visit local stores or buy issues digitally. However, Image Comics stated it has received several requests for a different way to keep up with comics. "Even with all the wonderful work our retail partners in the Direct Market do, the number one comment we get from fans is they frequently can't find the Image titles they're looking for," publisher Eric Stephenson said. "Given that there are fewer comic book stores than ever before, we're hoping that Image Direct makes our titles available to fans who don't have easy access to a local comic book store, or whose shop doesn't carry the full range of Image titles." With Image Direct, subscribers will receive comics in one shipment at the end of each month instead of buying comics week-by-week. Image Comics said this is to keep shipping costs down. Shipping costs are as low as one dollar per issue and $12 for a 12-issue subscription via First Class Mail. This method places the comics in a padded envelope or a sturdy box with bubble wrap if you're receiving four or five comics a month. Image Direct also offers a shipping method that includes a bag and board will better protect comics for people who want them in perfect condition. This method is a little more expensive though: $3.25 per issue for one subscription, $1.25 per issue for each additional subscription (e.g. $39 for a 12-issue subscription). For now Image Comics only ships to the continental U.S. This is hardly a new idea; Marvel and DC have had subscription services for a while. Image Direct isn't for people who can easily reach a store, but with fewer stores around, Image Comics has the right idea of trying to get its comics in the hands of as many people as possible.